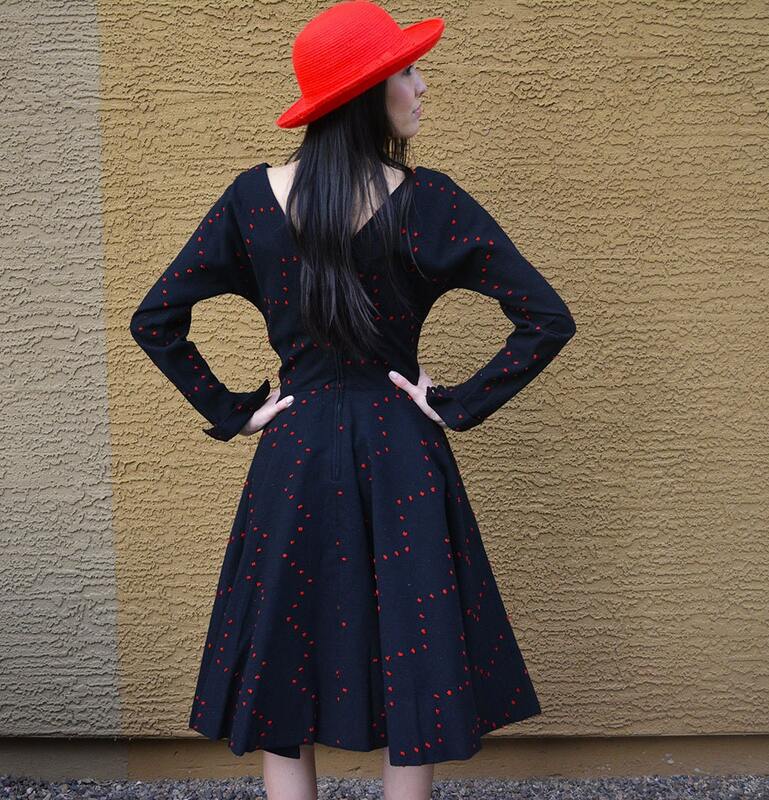 This 50s wool dress is hands down our favorite item we have come across. It is just so special! 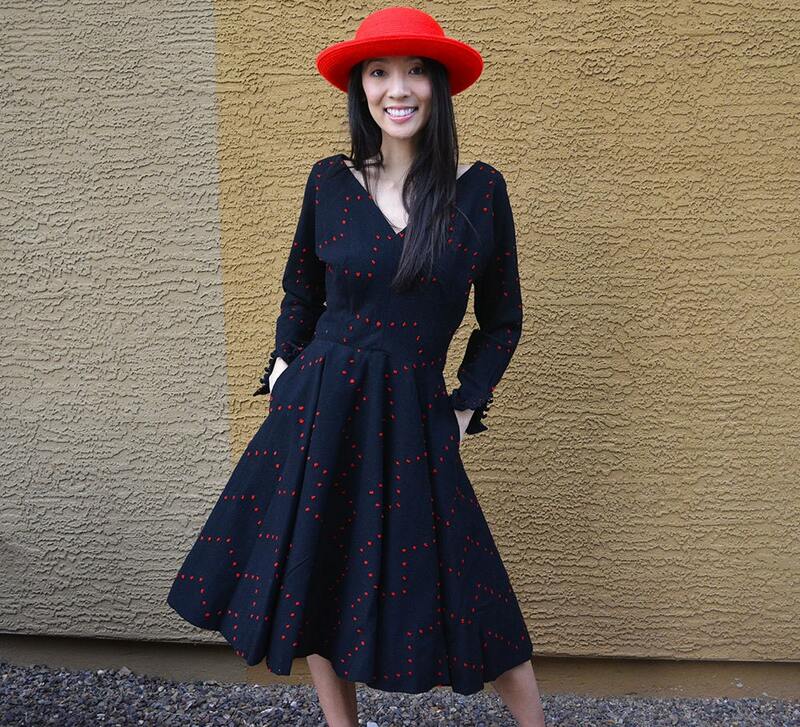 We purchased this at an Estate Sale from a lady who had this dress handmade in the 50's while visiting Paris. It was her favorite piece of clothing she owned and we understand why! We have had it for a long time, because it is so hard to part with it. Now we want it to go to a good home to somebody who can wear it and appreciate it. 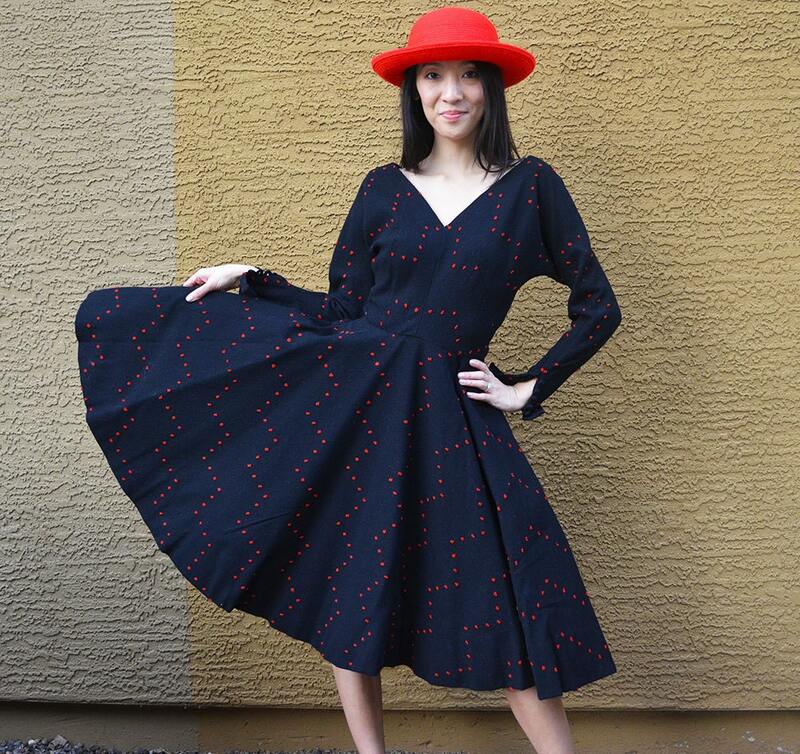 The construction of this dress is nothing short of stellar. The skirt is very structured and has a lining sewn inside of it that helps it retain its flair. The skirt also has pockets. The bottom of the sleeves are cuffed and have small buttons. It zips in the back and you step into the dress to put it on. This dress does have a tiny waist. Please refer to the measurements to ensure fit. This is one of those rare pieces that you dream of finding when hunting for vintage. 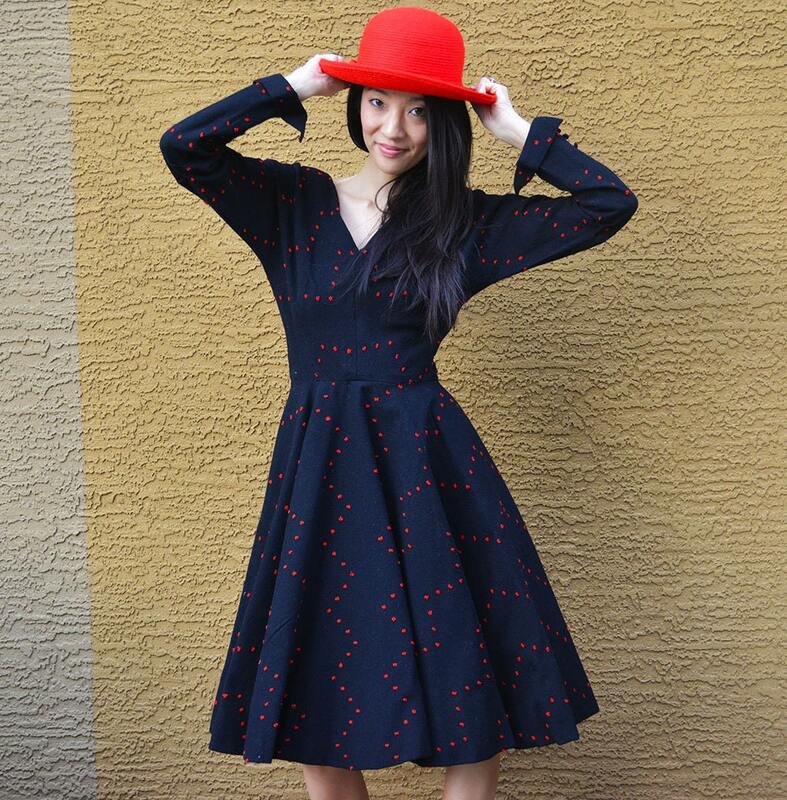 You won't be disappointed in this one of a kind dress! It is in excellent condition, but given its age and that it is wool it does have a couple moth holes. Still looks totally fabulous on and they are not very noticeable when worn.